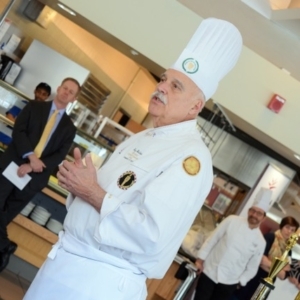 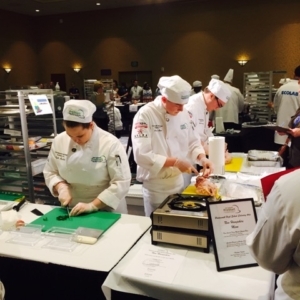 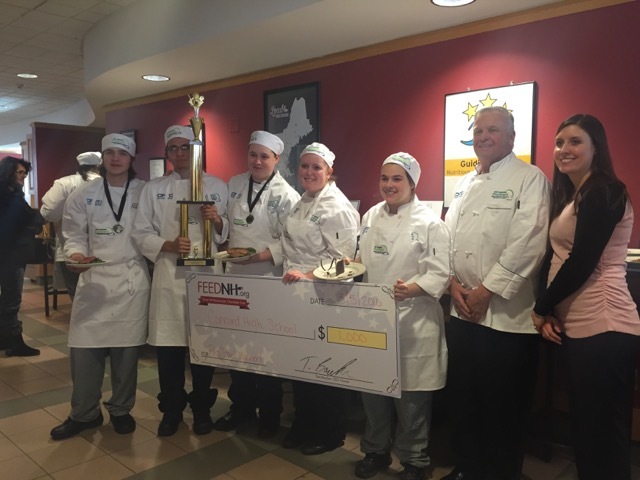 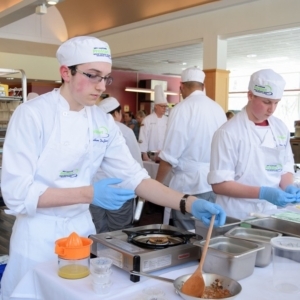 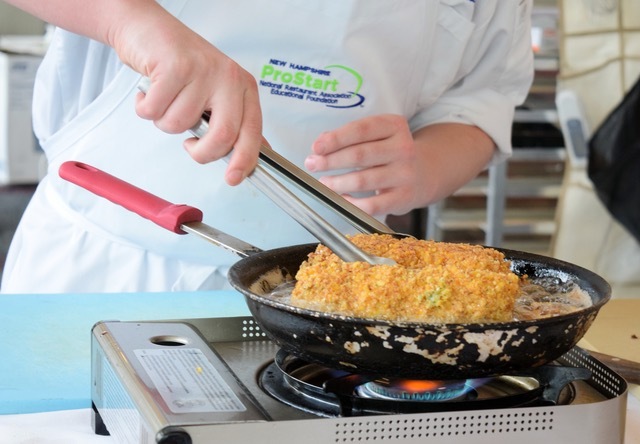 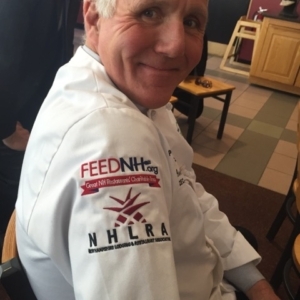 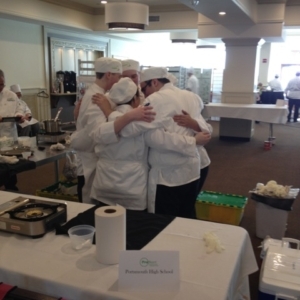 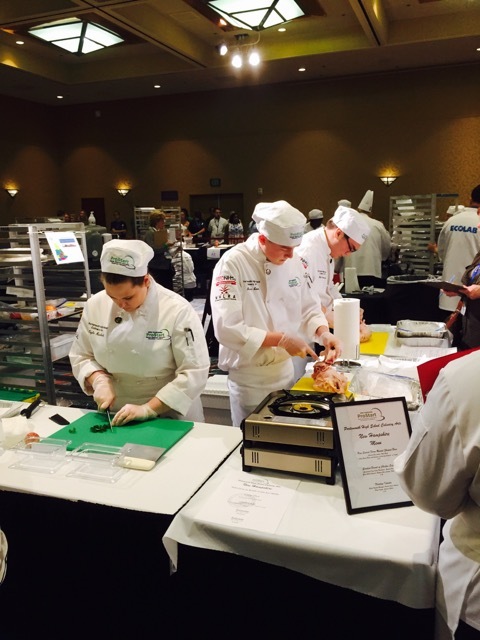 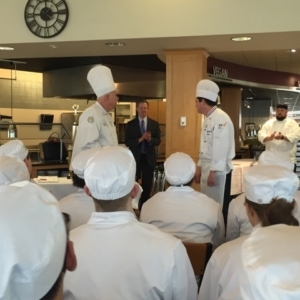 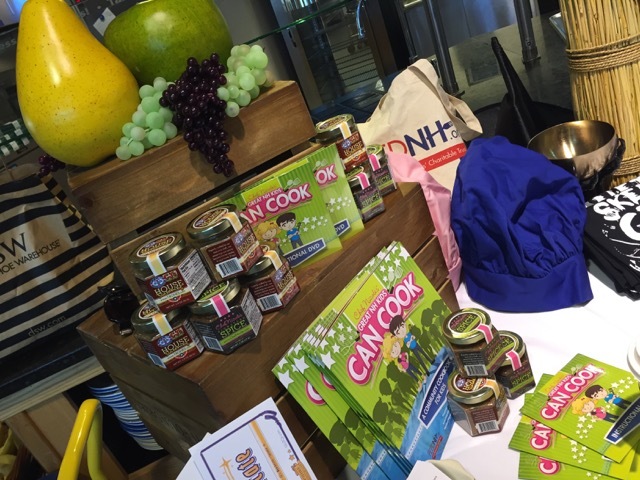 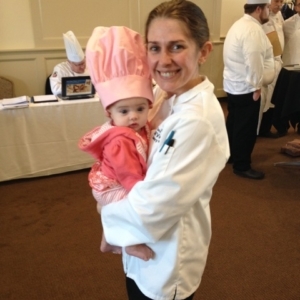 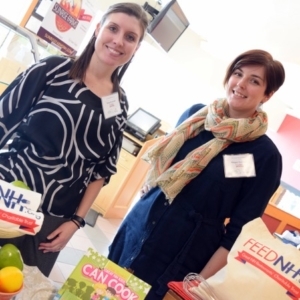 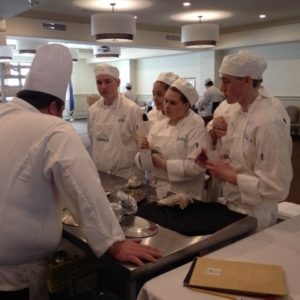 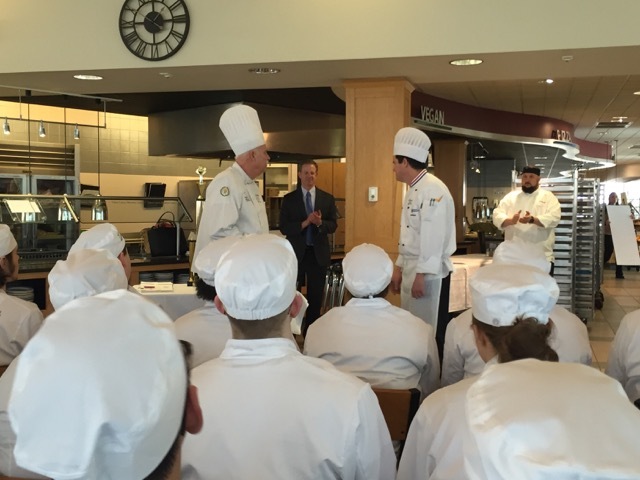 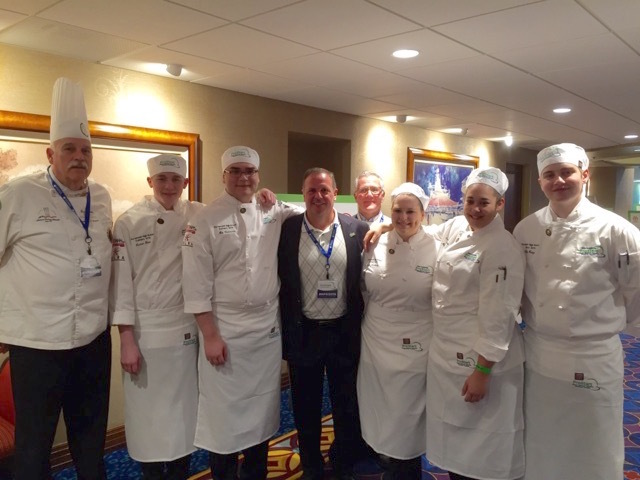 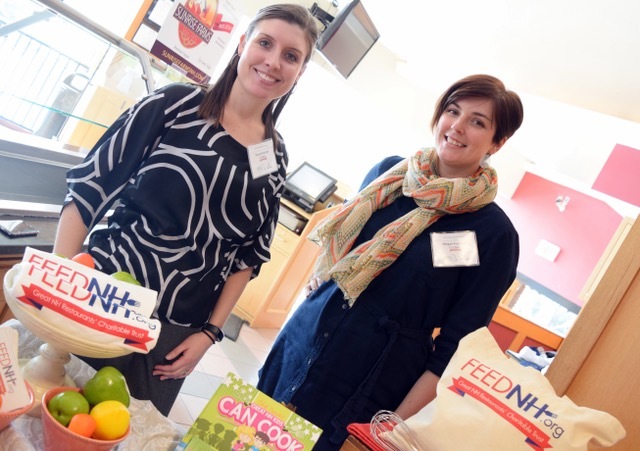 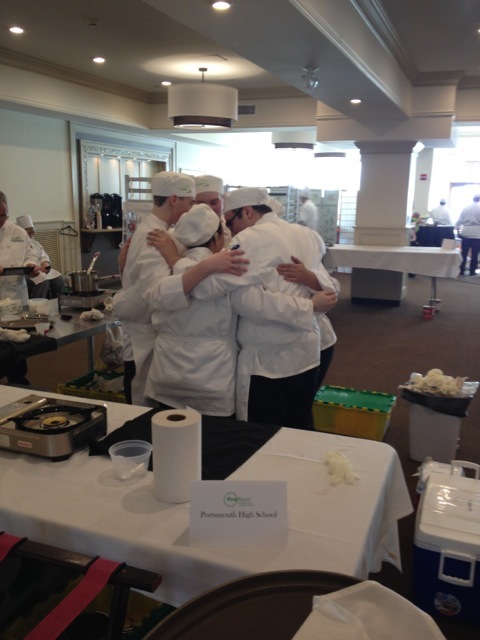 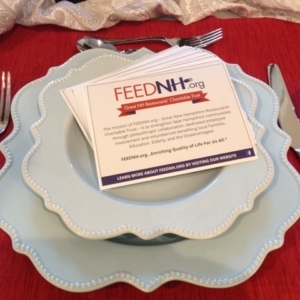 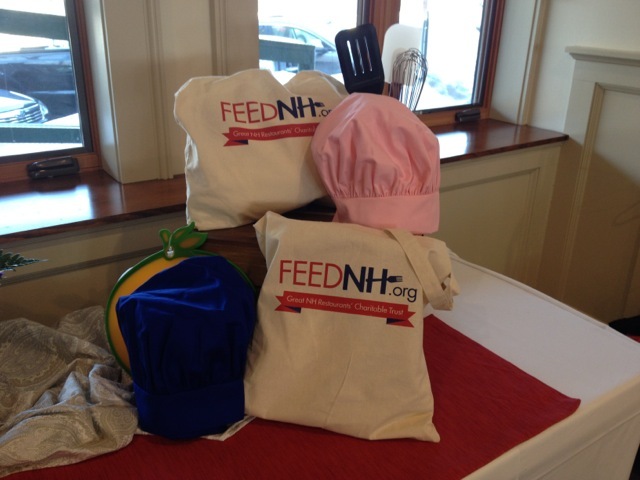 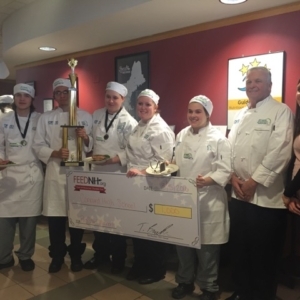 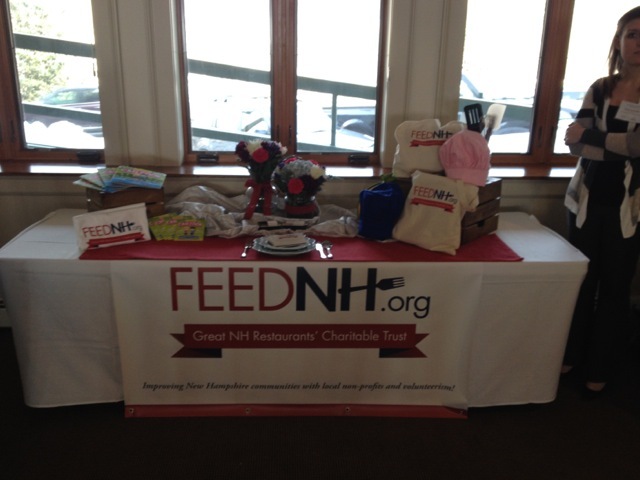 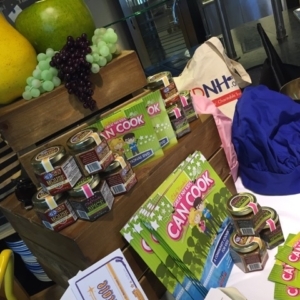 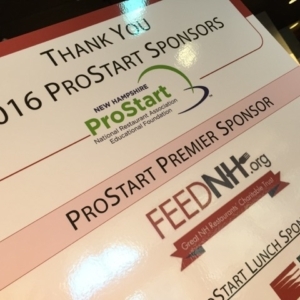 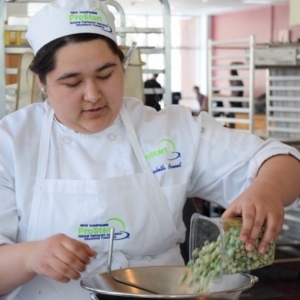 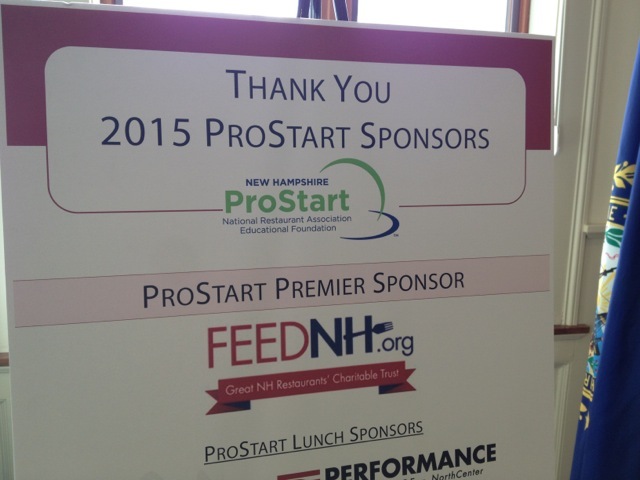 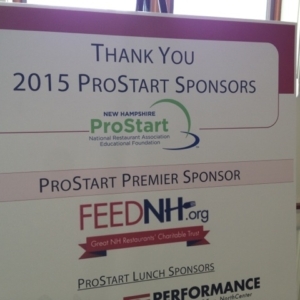 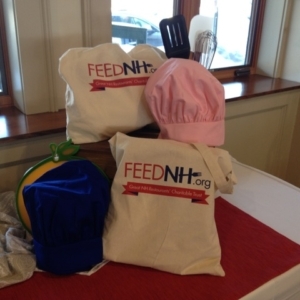 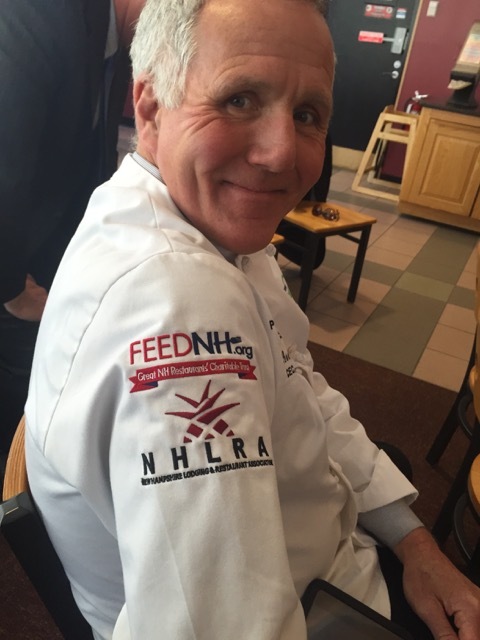 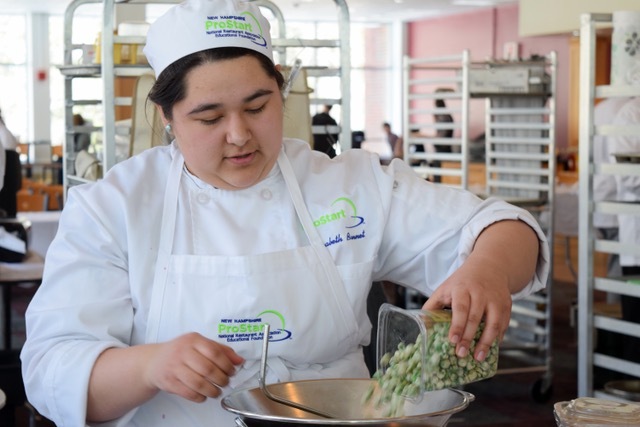 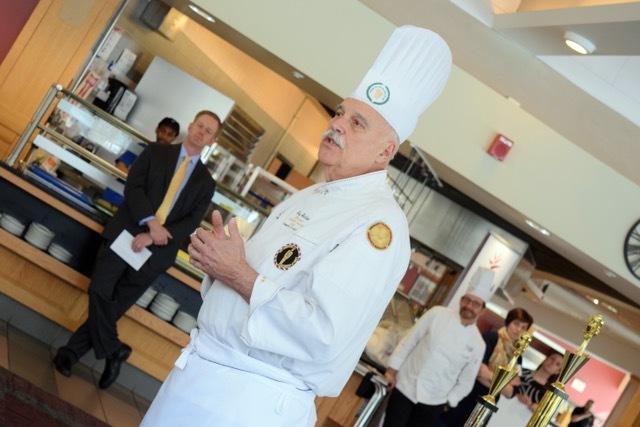 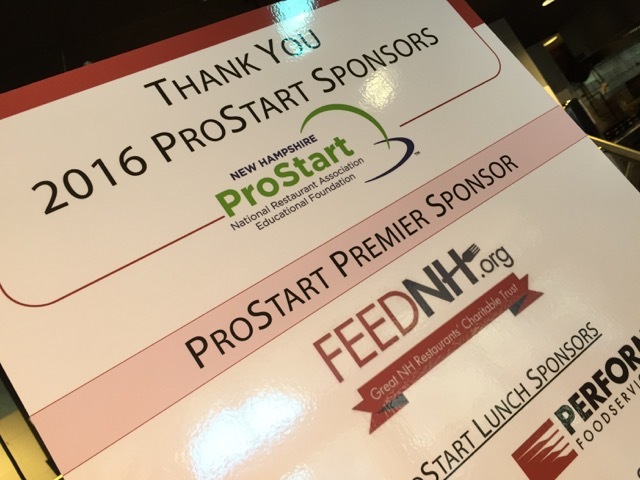 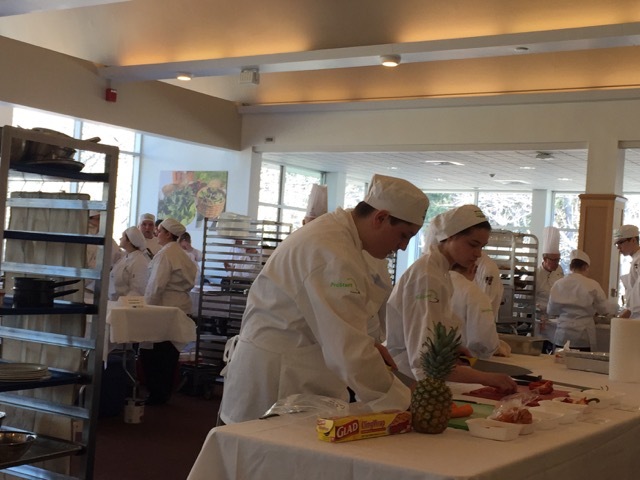 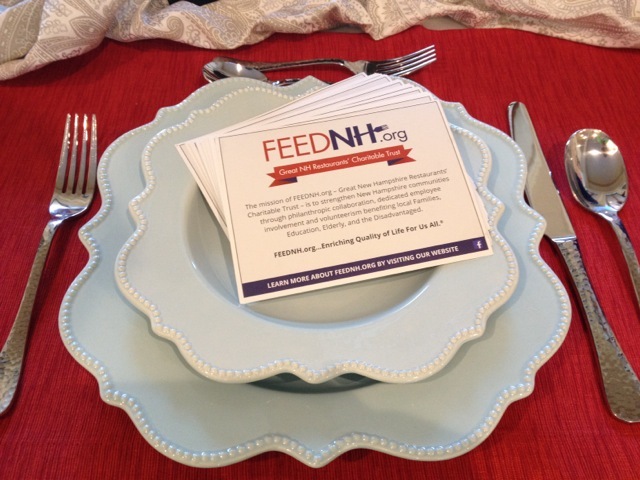 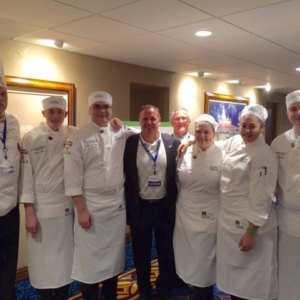 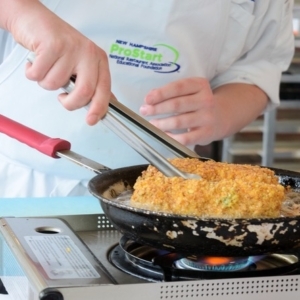 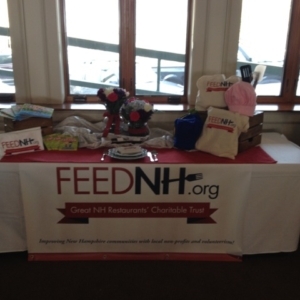 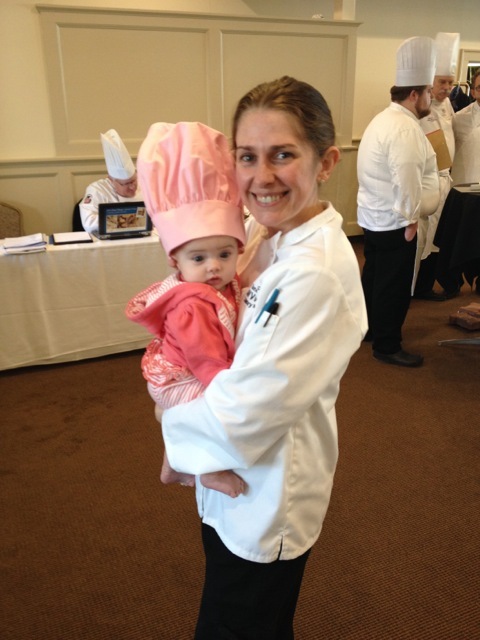 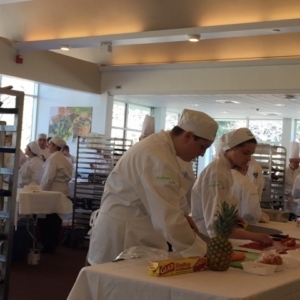 The NH ProStart State Invitational is New Hampshire’s premier culinary competition featuring high school juniors and seniors. 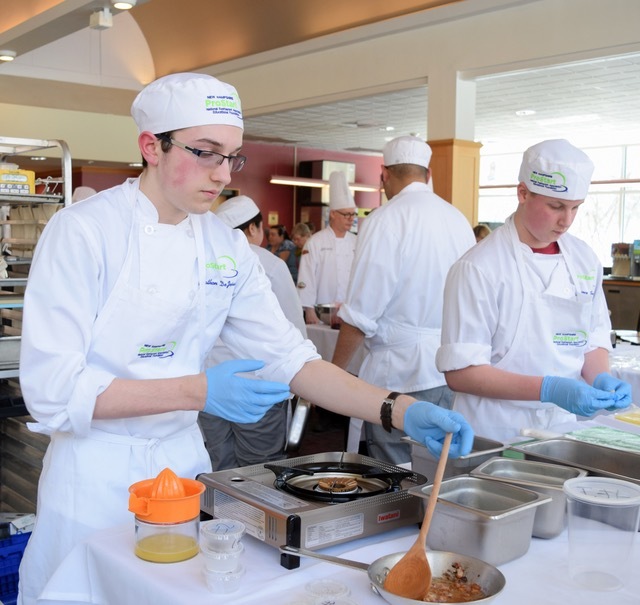 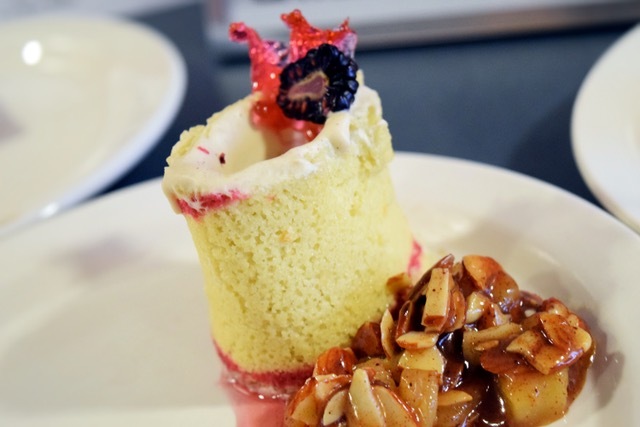 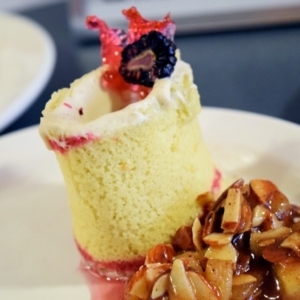 During this intense competition, participating teams demonstrate their creative abilities through the preparation of a three-course meal in 60 minutes, using only two butane burners; all without access to running water or electricity. 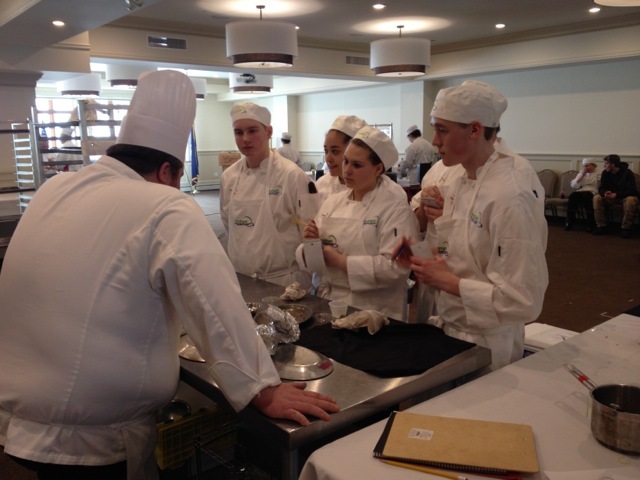 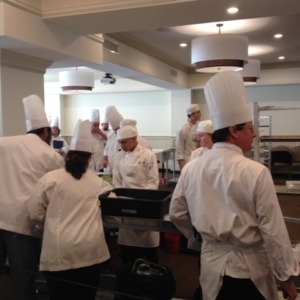 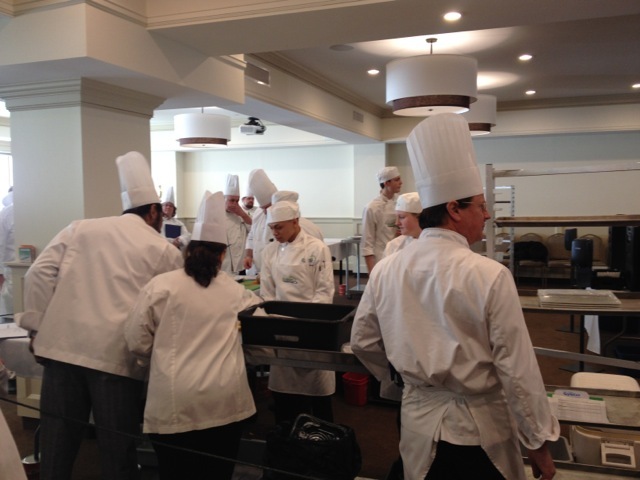 There is no room for error as the teams are evaluated on taste, skill, teamwork, safety and sanitation!